I posted the lead track from this album a couple of weeks. I was pretty excited about the forthcoming album at the time. I was right to be. Here we have a very strong contender for album of the year (next to Dusty Moonan’s “Our Name On the Door”). For those who don’t know The Dames are Clare Moore on drums ,songs and vocals, Kaye Louise Patterson on keys, songs and vocals and Rosie Westbrook on bass and backing vocals. This debut self titled album has been mixed by acclaimed, award winning icon of UK post punk and 90s film funk music BARRY ADAMSON. Barry being an old friend of Clare Moore’s since her days in the Moodists and his in Magazine and the Bad Seeds. Regular readers will know of my abiding fondness for the work of Mr Dave Graney, and will also be aware that Clare has been long associated with him. Anyone who has prowled Dave’s back catalogue will be aware of Clare’s compositional and vocal talents which add to her exemplary percussion work. Albums like “Hashish and Liquor” and “Keepin’ It Unreal” have already amply demonstrated Ms Moore’s talents – this album takes things up several levels. Clare Moore also plays with the Ukeladies and Harry Howard and the NDE and has been involved in writing and recording for film and tv. She was nominated for an ARIA for “the soundtrack to the movie BAD EGGS” in 2003. Her songs are very much studio constructions and the album includes a paen to “Eve”, the female character in the tv show IRONSIDE and also “the Groosalugg”, a character from ANGEL. Kaye Louise Patterson also writes songs for the band. Her background includes playing with Jeff Williams as part of Acuffs Rose – (pioneers of alt country before any other wagons set up in that part of the prairie). She also released a solo album, “INTERNATIONAL TRAVEL” in 2006. Missing the camaraderie of a band, she hooked up with Moore and The Dames was born! Her songs are very much piano trio based and include an instrumental tribute to Dudley Moore and an “epic tribute to a little known paradise of evergreen forests and sailing boats called “California””. Rosie Westbrook is involved with composing film soundtracks and international touring with Mick Harvey, among others. So here we have a collection of perfectly crafted tunes, beautifully played and sung, and recorded with care and attention. I don’t want to go into too much detail about the album because to be honest it speaks for itself, on several levels, all I will say is that there is an ineffable melodic quality around and about it’s contents. Just check out the ethereal “Auntie Aviator” if you want to know what I am going on about. Melodic popular rock song-writing mixes with cinematic jazzy piano trio work outs to create something very special indeed. There is something truly beautiful about this album. You need to set aside time to listen to this release. Sit in your favourite chair, pour yourself a glass of favourite beverage, and sink into the glorious sound-scapes created by The Dames! 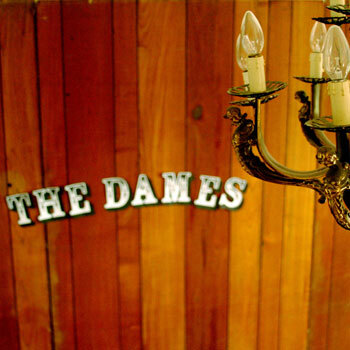 Posted on September 17, 2013 by HalfEdgeMediaPosted in Album ReviewTagged The Dames.